Plains is one of the largest independent crude oil companies in North America, doing business in over 46 U.S. states and 8 Canadian provinces. We provide a comprehensive solution for most, if not all, of your crude oil transportation and marketing needs. At Plains, we place tremendous value on the relationships that we have with our customers. We are dedicated to earning our customers' trust each and every day by providing the utmost in value-added services while delivering exceptional customer service. Plains purchases crude oil in almost all of the producing regions of the U.S. and Canada. Our U.S. activities are conducted through Plains Marketing, L.P. and our Canadian activities are conducted through Plains Midstream Canada ULC. In addition, we supply propane, butane and other NGLs to markets in the U.S. and Canada. These activities are also conducted through Plains Marketing, L.P. and Plains Midstream Canada ULC. 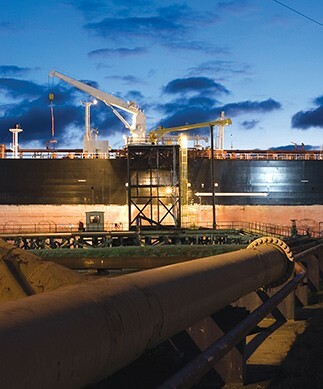 Plains also offers crude oil pipeline transportation services in most onshore producing regions in the U.S. and Canada. Our pipeline activities are conducted through Plains Pipeline, L.P. and Plains Midstream Canada ULC. See information on planned maintenance and other activities. View your crude oil statements and check stubs online using our PlainsNet Customer Support System.